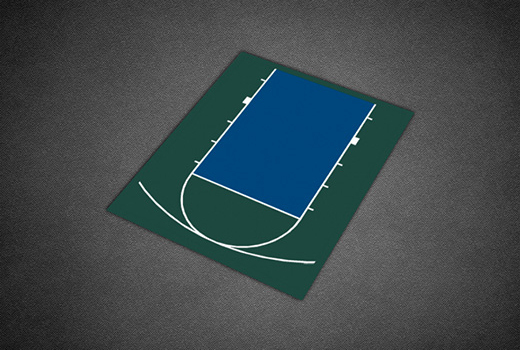 Designed for locations and backyards with limited space, the Mini Court features approximately 500 square feet of court space complete with a colored, regulation sized 12’ wide lane. 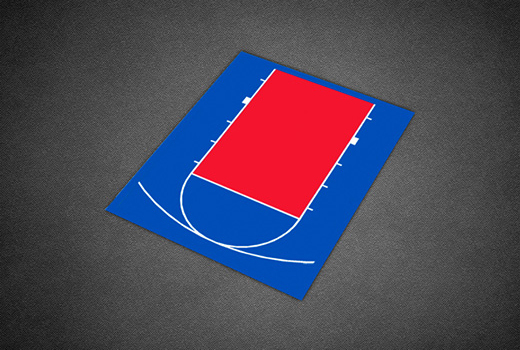 It is ideal for practicing all elements of your inside game and honing your free throw skill, but also serves as a sizeable court for young players looking to build their skills. 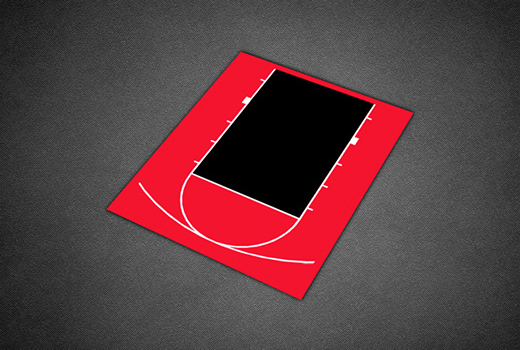 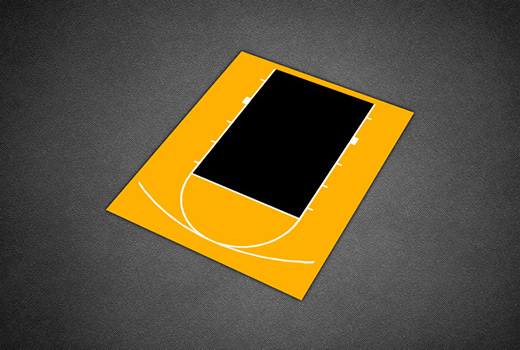 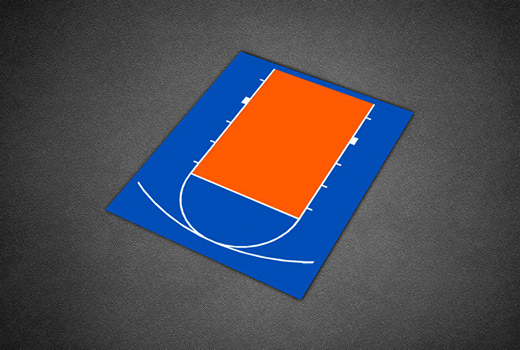 The 21’ x 25’ Half Court kit is available in 7 color combinations as shown below. 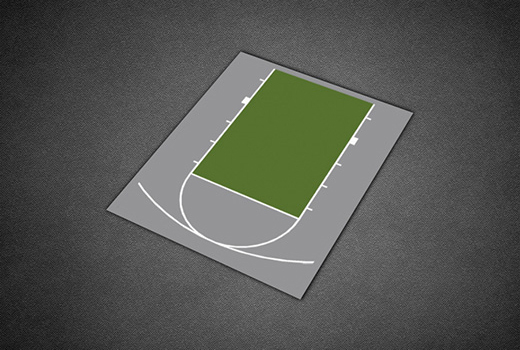 20' 7" x 24' 10"
20' 9" x 25' 0"